Customs and Border Protection officials said operations at the San Ysidro Port of Entry were “steady” after Thursday’s readiness drill, and announced that rumors that had been circulating about an extended border crossing closure were false. 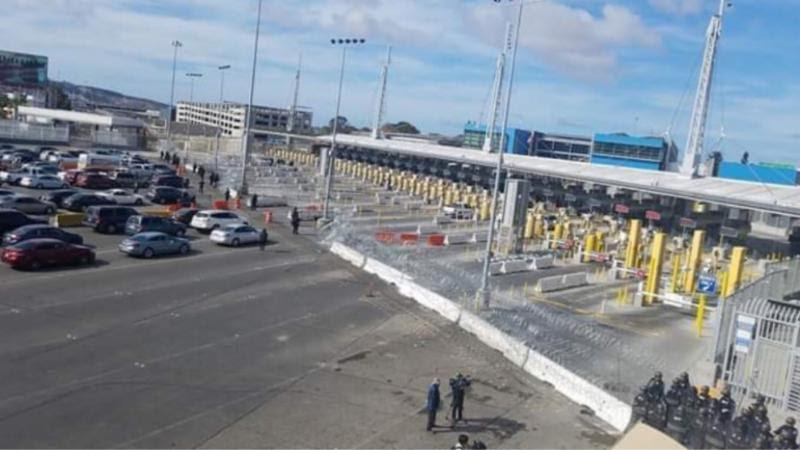 CBP tweeted Thursday afternoon that reports of a planned five-day closure at the border were incorrect, and officials will notify the public if they plan to undertake any additional security measures. Officials also tweeted that 21 of 26 lanes were now open at the northbound border crossing after Thursday’s drill. Traffic was stopped for the duration of the “large-scale operational readiness exercise” that was scheduled to begin at 2 p.m. and last about 10 minutes. Officials didn’t say if the training was related to the migrant caravan that began arriving in Tijuana nearly two weeks ago. More than 4,500 migrants were estimated to be staying in Tijuana awaiting a chance to apply for asylum in the United States.